Summertime equals sunshine! 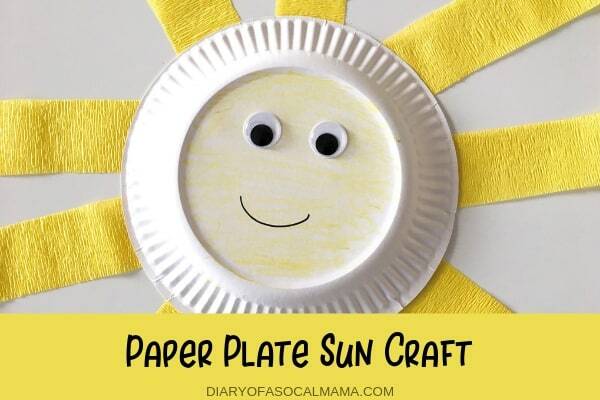 This cute sun craft is a perfect way to celebrate the season. 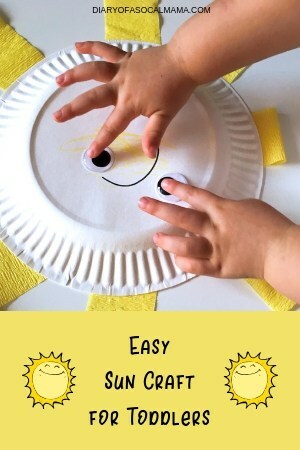 Toddlers and preschoolers can easily make this craft at home or in the classroom. It’s the perfect summer or weather themed craft idea and you can pick up all the necessary items from the dollar store! 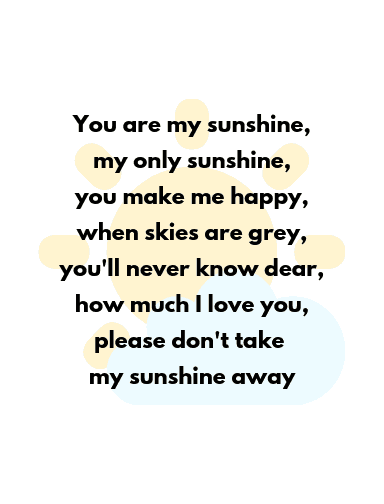 It goes perfectly with the song “You are my Sunshine” too! 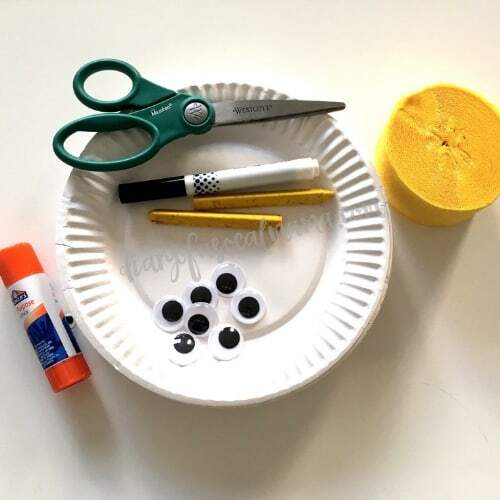 This activity can be great for helping toddlers work on their fine motor skills. Triangle shaped crayons are great for young kids to use to practice their grip. If they’re old enough they can cut the streamers into strips themselves to practice cutting skills and those fine motor skills that it takes to properly use scissors. Lastly, toddlers and preschoolers can practice cutting and pasting while making this craft. My toddler needed a bit of help getting the ends of the streamers in the right place and gluing the eyes on. I was able to grab all of these items from the dollar store but you can pick them up on Amazon or at any craft store. You probably already have some of them in your home! Start by drawing or having your child draw a mouth on the paper plate. (Ideally, you’ll draw it on the back of the plate.) Make sure you do this step first as a marker won’t draw over top of crayon. Color the plate yellow with a crayon, marker, or paint. Glue the eyes on and allow the glue to dry. 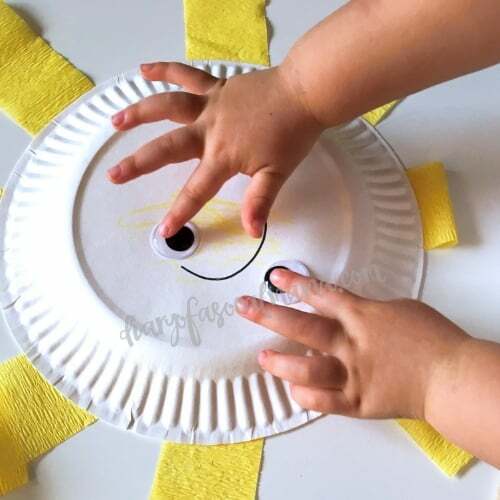 My toddler and I had a great time making this paper plate sun. She’s a bit of a picasso and insisted that one eye went above the mouth and one below it. She needed a bit of help with the gluing and streamer placement as she’s only just over two. She was proud to show off her craft when she was done. 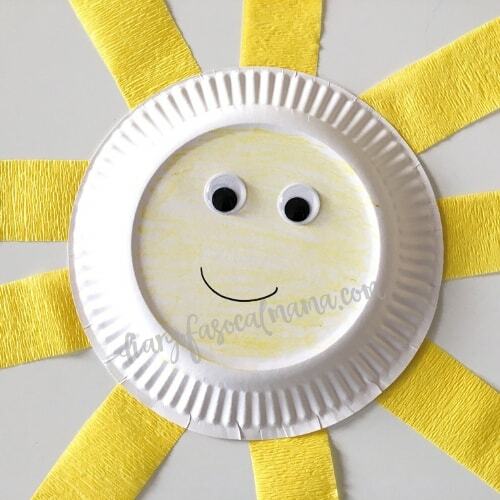 “You are my sunshine” is the perfect song to go along with this sun craft. Print out the lyrics. I’ve made you a printable version (4 to a page) and have them glue them onto the backside of their sun. Then teach them the words! Would make a fun craft and activity for a preschool project and presentation. The streamers on the sun make this craft fun to dance with. Let’s see your suns! Use the tried it feature on Pinterest and save this pin for later. Be sure to follow my Kids Crafts board for more fun ideas!